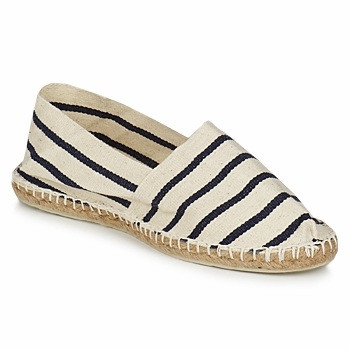 There's something about an espadrille sole that screams 'summertime.' 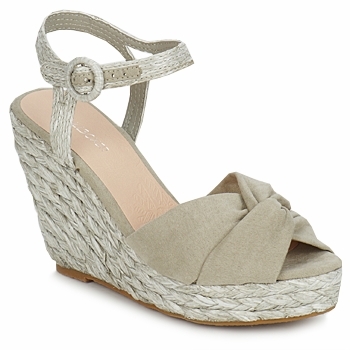 Usually, these beachy styled shoes are worn for that very occasion; a trip to the beach, but judging by the gorgeous selection of rope-soled shoes I found over on Spartoo, they are definitely suitable for any event. Take the glorious wedged peep toe Ravel pair above; with a boho-faboulous dress and little leather jacket, a casual chic evening look is within reach. And comfy, too! You could certainly dance the night away in these. This cute flat pair are the perfect daytime shoe; worn with a rolled skinny chino and little blouse they have that French insouciance about them and will add a touch of class to a downtime look. For the catwalk mavens amongst us, the Flatform is set to be the shoe trend of choice for the hardened fashionista. Clumpy and chunky, this shoe is crying out for a chiffon midi skirt and ankle sock to take it into high fashion territory. Prada style without the price tag! For a girlier take, look for little details to make your espy's stand out. Ras have raised the bar with this mock ribbon lacing detail and created a more feminine and balletic look to the classic espadrille. 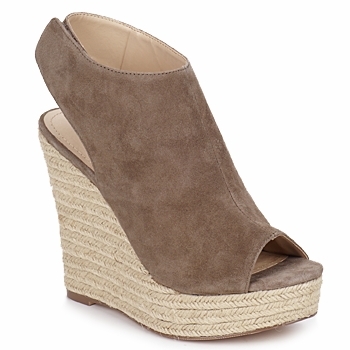 Wedges are a perennial favourite and it's easy to see why. Simple to wear, summery and also the comfiest heel style, this neutral ankle strapped platform pair will work with everything in your wardrobe-and then some. Holiday style or City chic, they'll do it all with ease! You can check out more fab styles over on the Spartoo website; click here. The shoes form French Soule and those from Ras are great. I need a pair like this.